Juvenile arthritis affects approximately 300,000 children in the United States, and 40% of these children have polyarticular juvenile idiopathic arthritis (P-JIA). Biologic therapies have significantly altered approaches to treatment of P-JIA, but optimal timing for the initiation of biologics remains unclear. To determine the effectiveness of the most commonly used strategies for initiating biologic therapies, the Childhood Arthritis and Rheumatology Research Alliance (CARRA) is undertaking the prospective, observational Start Time Optimization of Biologic Therapy in Polyarticular JIA (STOP JIA) study. Yukiko Kimura, a pediatric rheumatologist from the Hackensack University Medical Center in Hackensack, NJ, provided an update on the status of the STOP JIA study at the 2018 American College of Rheumatology and American Rheumatology Health Professionals Annual Meeting held October 19 to 24 in Chicago, IL. 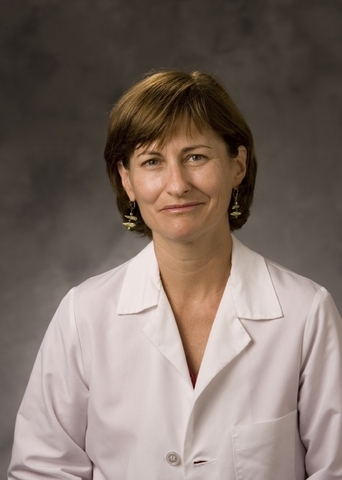 Sarah Ringold, MD, of Seattle Children’s Hospital is the lead author on the STOP-JIA update abstract, and Laura E. Schanberg, MD, from the Duke Clinical Research Institute in Durham, NC, is also involved with the study and actively engaged with the CARRA network. The target enrollment of 400 participants has been reached and includes children from 57 sites around the country. Primary outcomes have been defined as the proportion of participants achieving clinically inactive disease without glucocorticoids at 12 months; the secondary outcome is patient-reported pain interference and mobility at 12 months. Enrolled participants are 19 years of age or younger and have been diagnosed with new-onset or untreated P-JIA. The average age of enrollees is 10 to 11 years and approximately 75% are girls. Approximately 20% are rheumatoid factor (RF) negative, and one-half have a normal erythrocyte sedimentation rate (ESR) and/or a normal C-reactive protein (CRP) level. On average, participants have 13 active joints. Researchers defined specific entry criteria regarding prior treatment. Treatment with non-steroidal anti-inflammatory medications or methotrexate is permitted. However, methotrexate must be started no more than one month before enrollment. The majority of enrolled participants (83%) have been treated with methotrexate. Prior treatment with biologics is permitted if the patient received only one dose within one week of enrollment. Overall, 30% of enrollees have been treated previously with biologics. However, 70% of children in the Early Combination CPT have had prior treatment with biologics. Treatment with intra-articular, intraocular, or topical steroids is also permitted. Treatment with oral or intravenous steroids must be limited in duration to 2 weeks if recently initiated or, if a longer course of steroids was used, must be completed 90 days before baseline enrollment. Overall, 21% have been treated with oral steroids, but only 9% in the Biologic First CTP have received treatment with steroids. Most enrolled children (64%) have been started on the Step-Up CTP, 25% were started on the Early Combination CTP, and 11% were started on the Biologic First CTP. Physician preference for treatment was the reason for CTP choice in the overwhelming majority of cases (87%), with patient/family preference being a factor in 28% of treatment decisions. Not surprisingly, cost or insurance issues were important factors in choosing the Step-Up CTP for approximately 21% of participants. To date, 30 enrollees have experienced serious adverse events or events of special interest related to treatment. New-onset uveitis has been the most common event of special interest, occurring in 13 children; two of these cases were severe. There have been three infections requiring intravenous antibiotics and three reports of arthritis exacerbation. The authors note that the follow-up visit in the STOP JIA study will be completed by September 2019, providing additional information regarding treatment patterns and effectiveness. Source: Ringold S, Tomlinson GA, Weiss PF, et al. The Childhood Arthritis and Rheumatology Research Alliance Start Time Optimization of Biologic Therapy in Polyarticular JIA Study: updated report of baseline patient characteristics and treatment choices. Presented at: 2018 ACR/ARHP Annual Meeting; October 19-24; Chicago, IL. Abstract 2385.